Small and medium enterprises (SMEs) that want to hop on board the Industry 4.0 train need not fork out a huge upfront investment, says Business Wise Consulting managing partner Datuk Yoon Chon Leong. 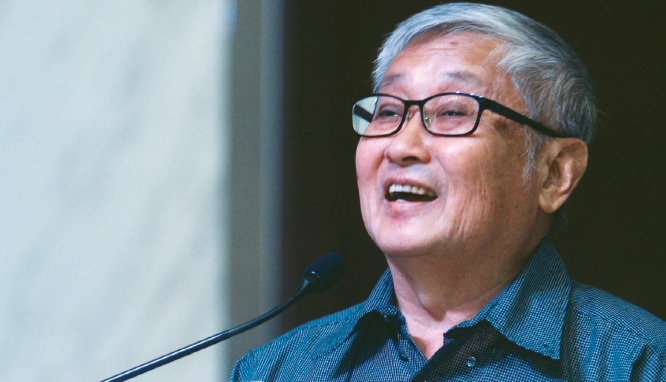 The technology veteran and angel investor, who spoke at The Edge SME Forum 2017 on the implications of Industry 4.0 for Malaysian SMEs, says companies with old machines need not replace them. They can simply attach sensors to their existing machines to connect them and enable them to measure what is happening on the factory floor. “Many SMEs have second-hand machines, which are old and cannot communicate with each other. However, they do not need to upgrade their machines. They only need to modify them by adding smart sensors to show some crucial data, such as how much production has gone up and what the voltage of the machine is,” says Yoon. He says while some entrepreneurs may see the Internet of Things (IoT) as a threat, to him, it represents an opportunity. Besides, the wave will come whether you like it or not. It is better to align one’s business to capture the opportunities presented. Yoon points out where the real opportunities lie in this space. Most people think of consumer applications when they talk about IoT, but that only represents 10% of the opportunities. In fact, 90% of the business opportunities are in industrial applications. “Currently, all the applications that we see are short-tail business-to-consumer. For example, when a client books a hotel room using an application, there is no warranty or after-sales service,” he says. A long-tail business-to-business application is more difficult. “These require a schedule, planning, inventory and production as you need to create a contract at factory level. The long-tail opportunities are still at the proof-of-concept stage, but I think this is where the real opportunities lie,” says Yoon. If SME owners do not ride these opportunities, they will be left behind and their businesses will start to decline. “If your machines do not have sensors to provide data, do invest in them. You need to get your machines connected to deliver solutions for your customers,” he says. So, what should SMEs do to capture the opportunities? In general, Yoon says they have to digitise, review and adjust existing product portfolios as well as integrate supply-chain partners. They also need to automate and network-enable the machines, increase their e-marketing presence, introduce data analytics and accelerate talent management programmes. “Entrepreneurs should intensify R&D collaborations with clients as they develop products. Some years ago, clients came to you, told you what they wanted and you operated as they instructed. Nowadays, the clients come to you with a vague idea in mind and expect you to provide a powerful solution. So, we need to up our game,” he says. Yoon is serious about doing that. He is creating a platform that will enable his staff and his clients to collaborate and work on R&D. He has taken it one step further — analysing the data generated in the process. Yoon says SMEs should have automated human resources software to take care of administrative work. That way, humans can focus on data analytics to generate crucial information and maximise the potential of the talents. “I analysed some human resources data and found out how many hours my staff spent with clients and how much revenue was generated from it. I saw that more hours did not necessarily mean more orders or profits,” he says. To execute these changes, entrepreneurs will need to hire a data scientist, who will collect and analyse the company’s data, and a digital marketing specialist, who will increase its e-presence, says Yoon. Later, when the business is well-aligned with Industry 4.0, it can hire a software applications integration specialist who can, among others, help owners understand the latest trends and adapt to a fast-changing world.